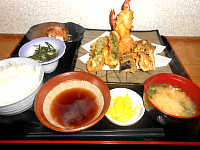 Set meal with deep-fried prawns. 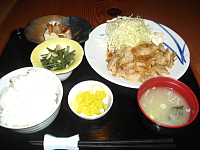 Set meal wiht deep-fried vegetables. 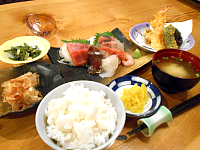 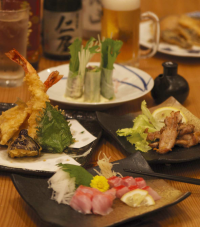 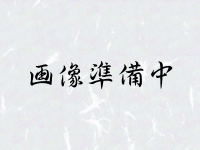 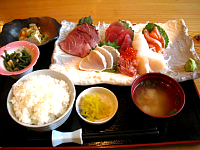 Set meal with raw fish. 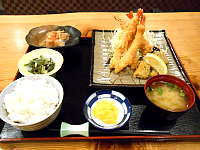 Set meal with Fried prawn. 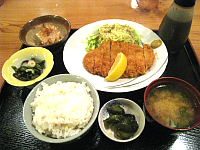 Set meal with pork cutlets. 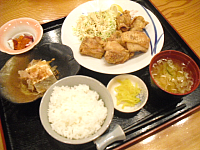 Set meal with fried chicken. 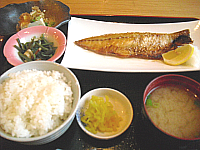 Set meal with fried fish.